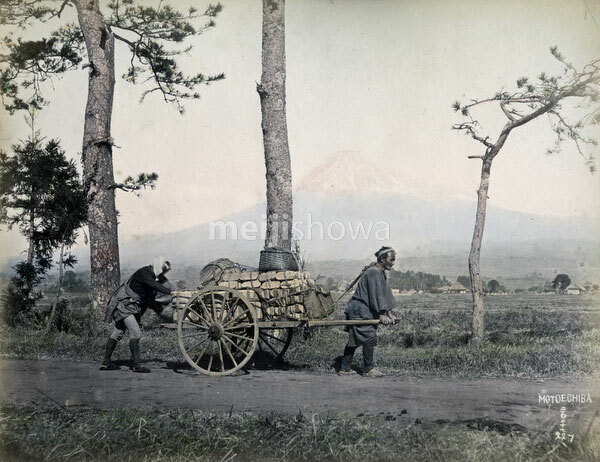 Two men pull and push a daihachiguruma cart loaded with what appear to be Geta clogs. At the back, Mt. Fuji is visible.